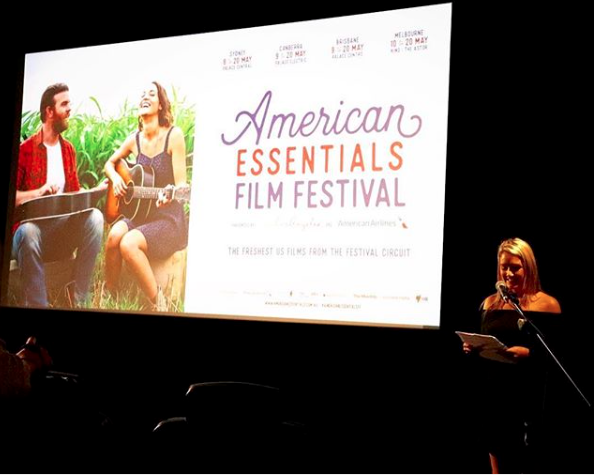 American Essentials is not your typical new world film festival with the saccharine blockbusters crowding the market. The focus is firmly on curating a program that sheds light on the independent productions of the last year, covering quite a bit of territory as diverse as thriller, melodrama, adventure, comedy, coming of age, horror, political, social justice, classics, music, cult, noir, romance and biographical flics. Needless to say that the festival serves as a great source to detect newcomers who showcase their first emissions that might normally not find their way onto your radar. The new works were all Australian premieres with some having been shown merely a few days earlier at film festivals in Toronto, Sundance, Rotterdam and SXSW festivals. The opening night showed The Boy Downstairs, a this millennial romantic-comedy against the backdrop of hipster Brooklyn from debut director Sophie Brooks and starring Zosia Mamet known from the TV show Girls. Other highlights included John Travolta portraying the notorious New York mob boss John Gotti, his rise to power and how he earned himself the name “Teflon Don”. As the name suggests, the festival focuses on the essence of current relevant movies and it should become a fixture on every cineasts calendar.